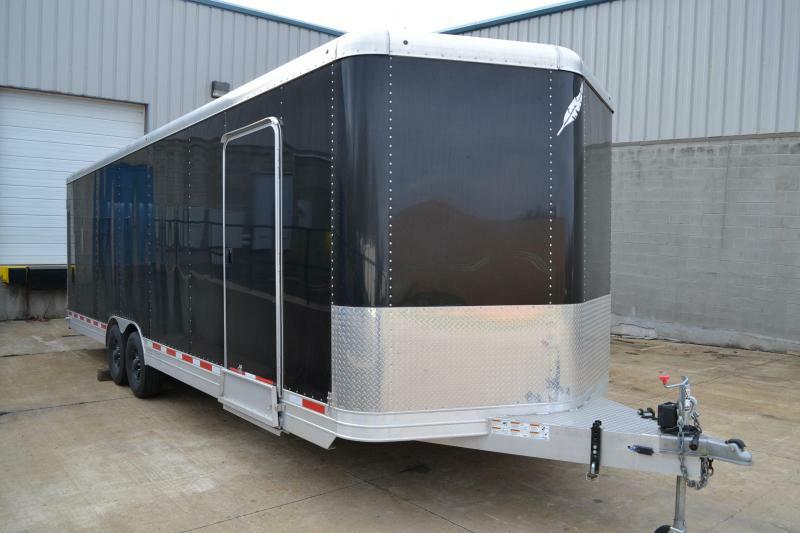 This trailer is on order from the factory. 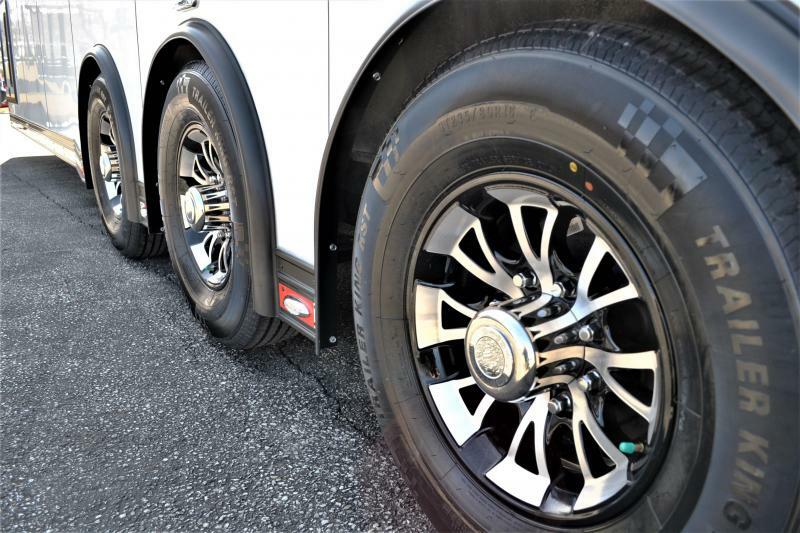 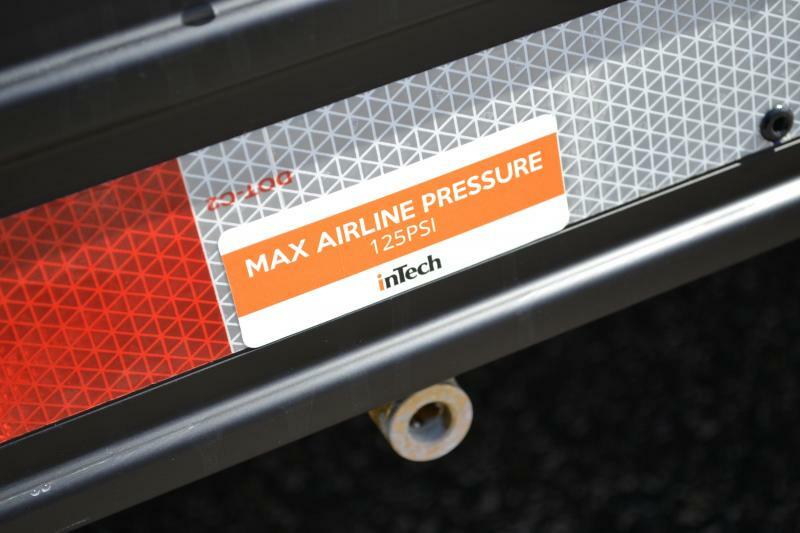 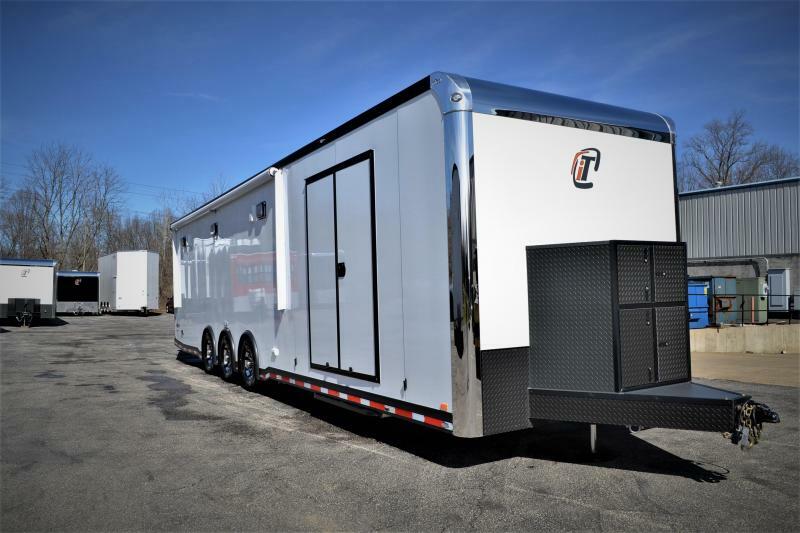 This 2018 34' Intech Icon package is loaded up with all the options a racer would want. 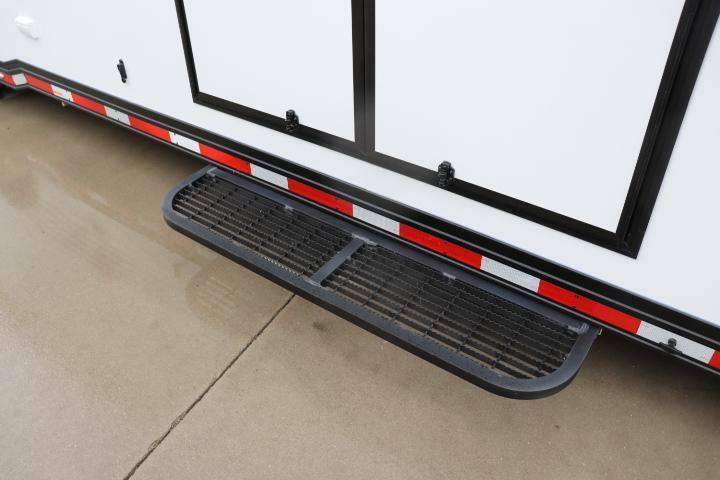 Triple 6K axles, Front tongue box with air compressor and single post hydraulic jack. 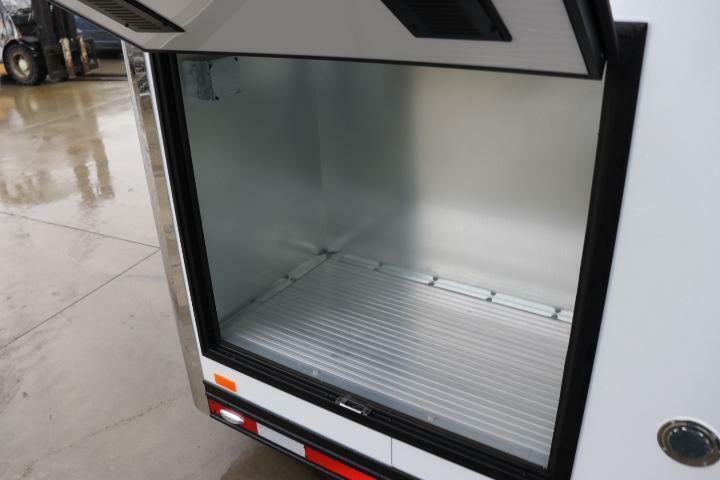 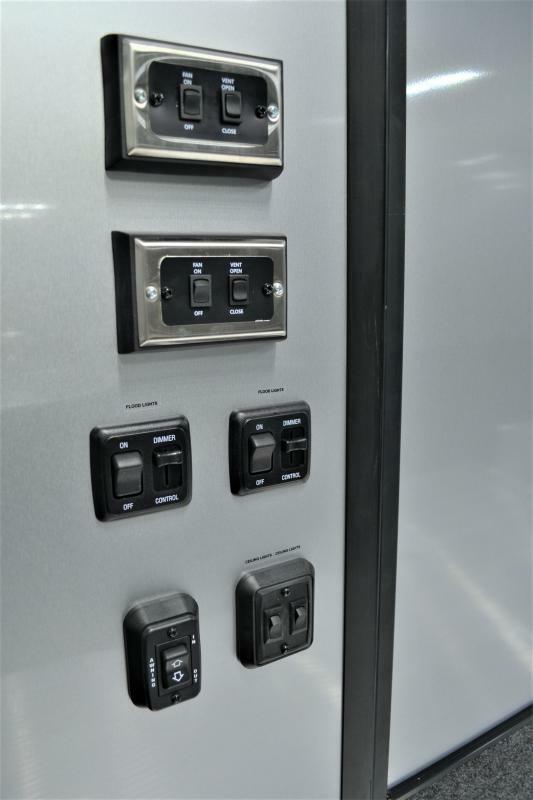 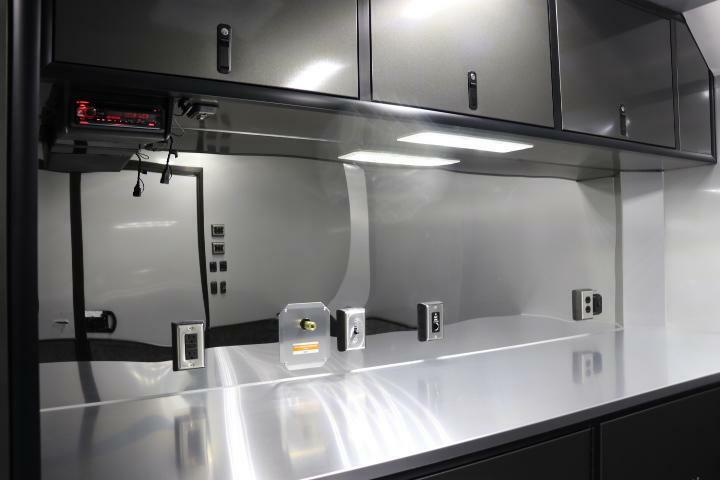 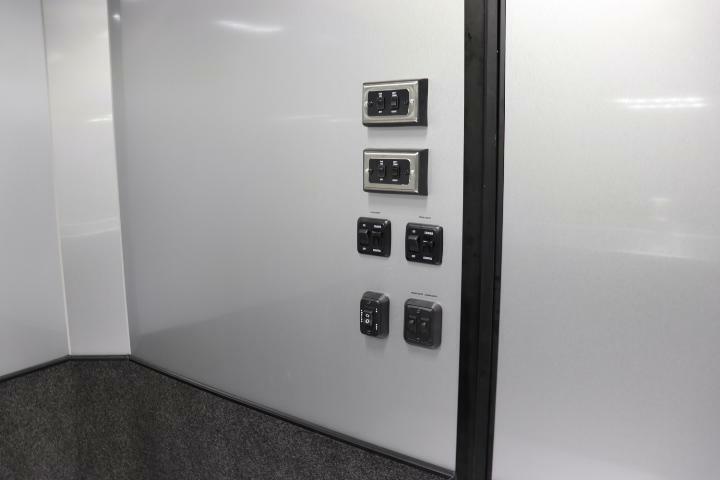 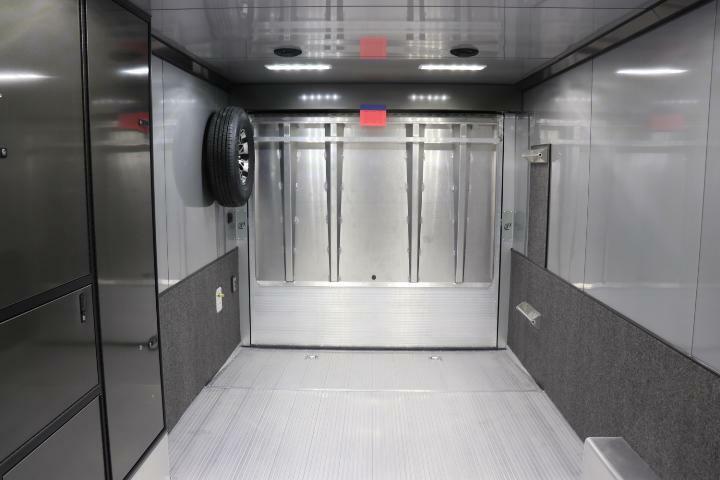 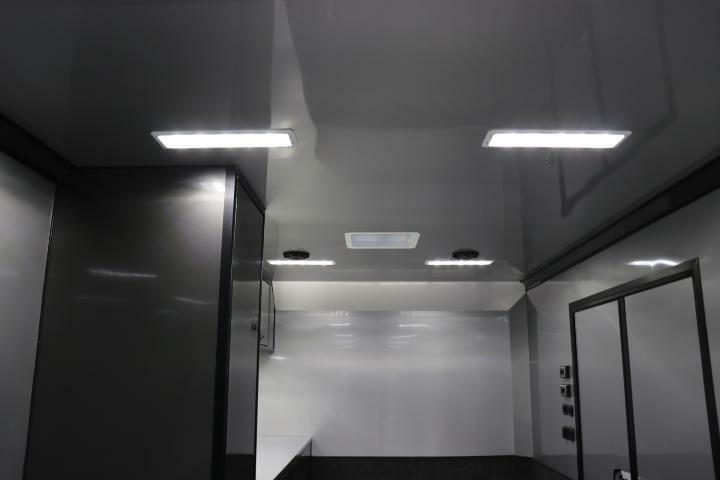 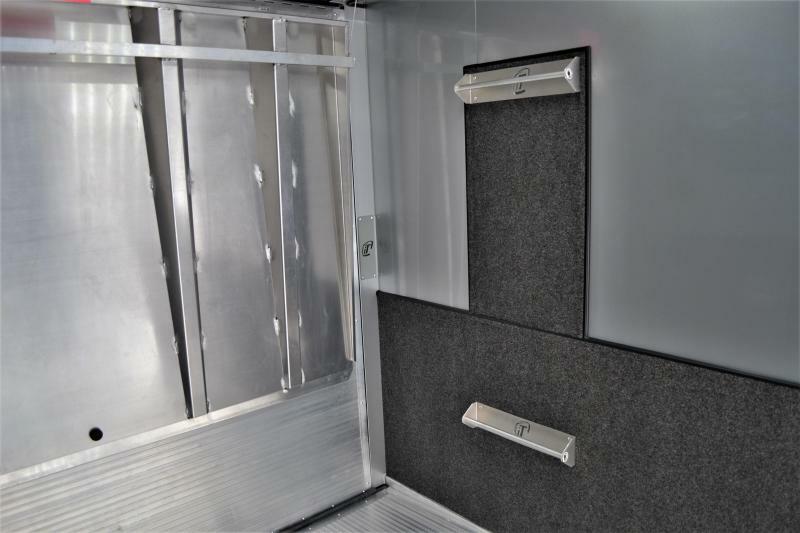 R4 Insulation, 60'' double doors, Outlets a plenty including 12v and USB, All LED lighting interior and exterior, including the Whelen 900 series dimmable LED exterior lights, 5' aluminum ramp extension, black anodized exterior & interior package, mirror finish stainless steel backsplash, and rear spoiler w/ LED's, rear flood lights on the sides. 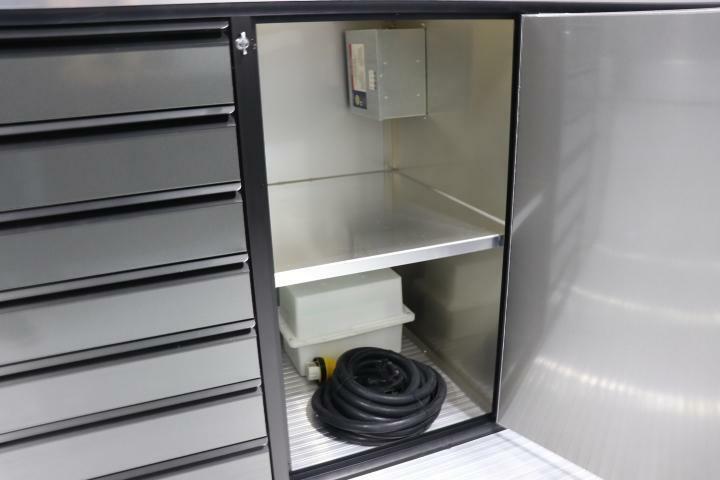 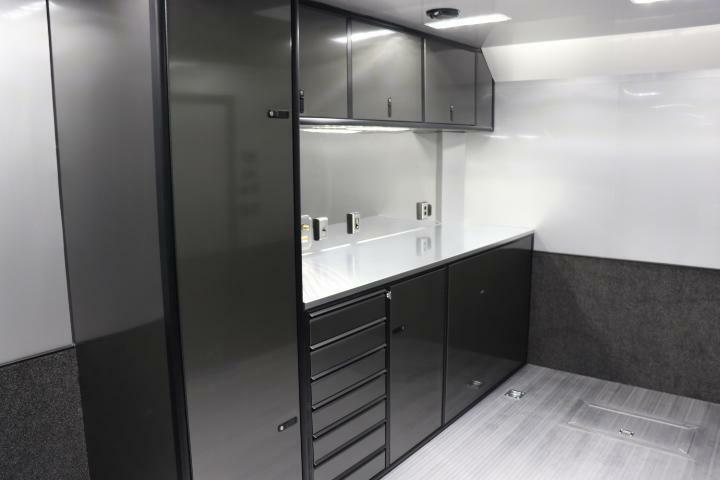 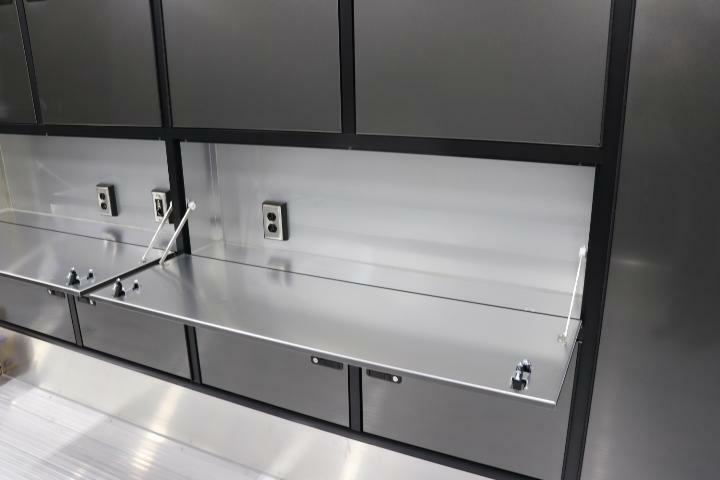 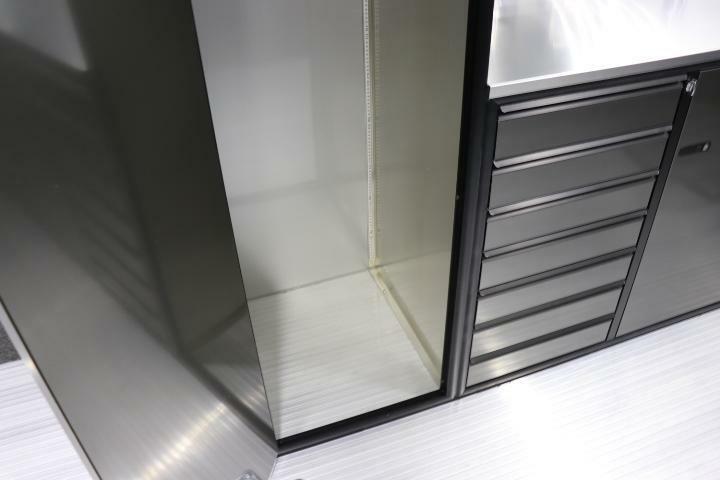 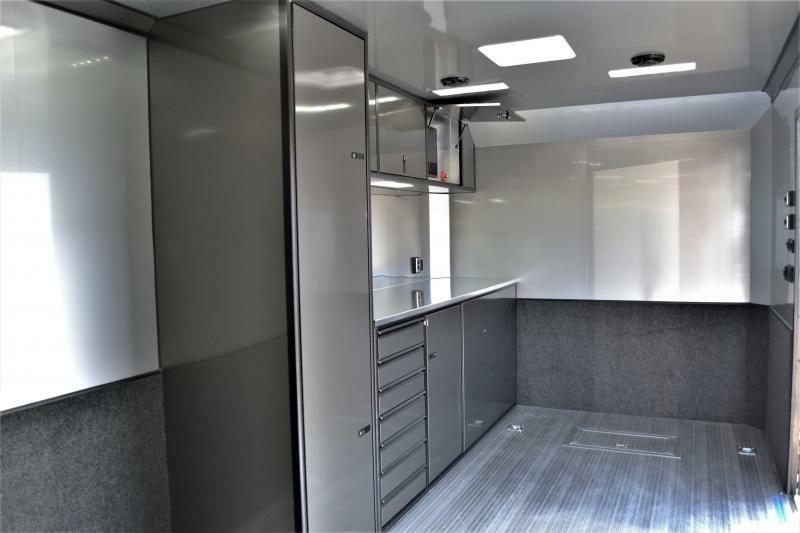 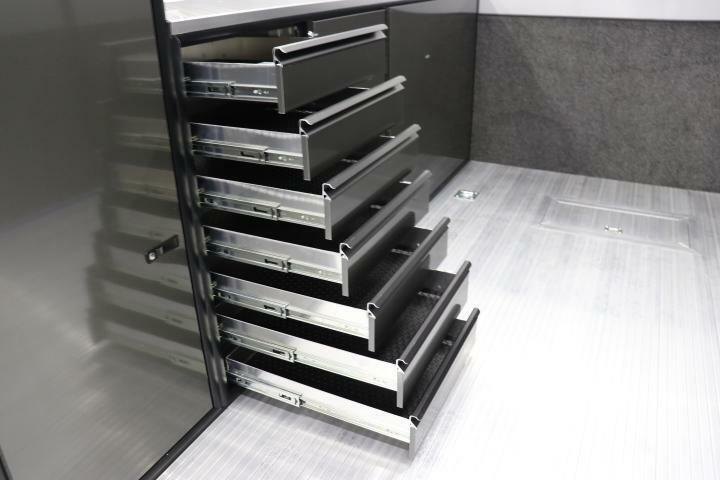 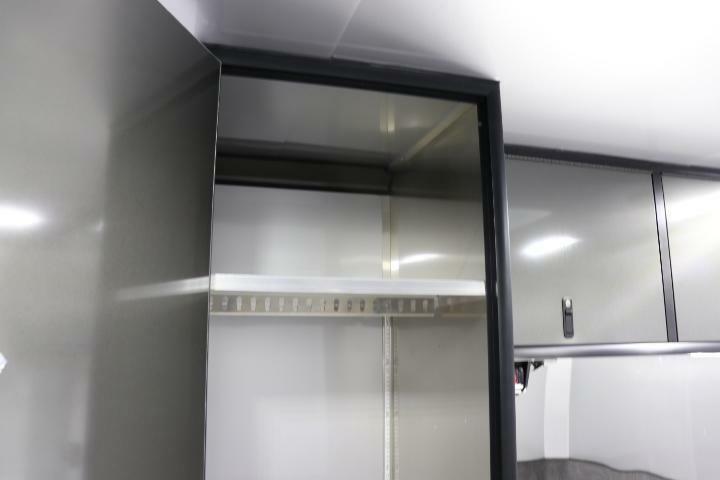 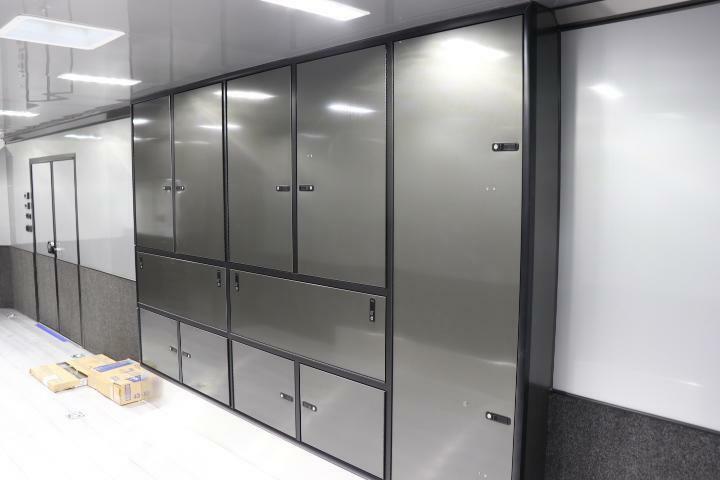 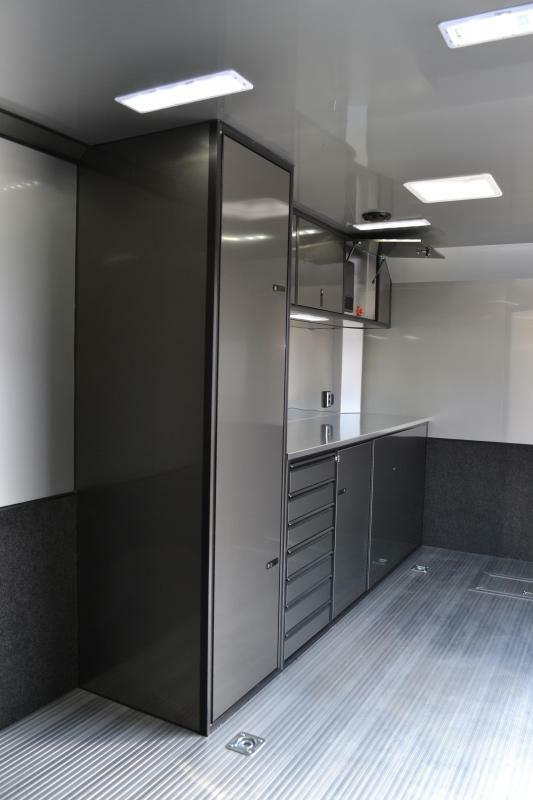 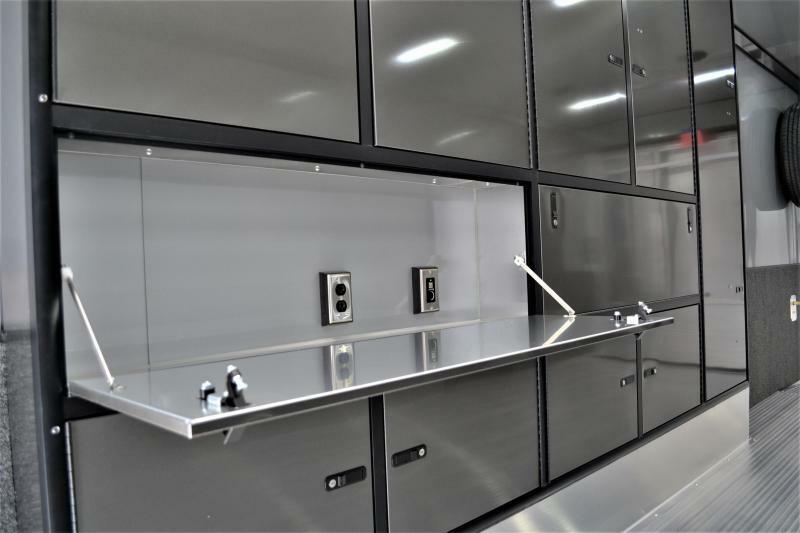 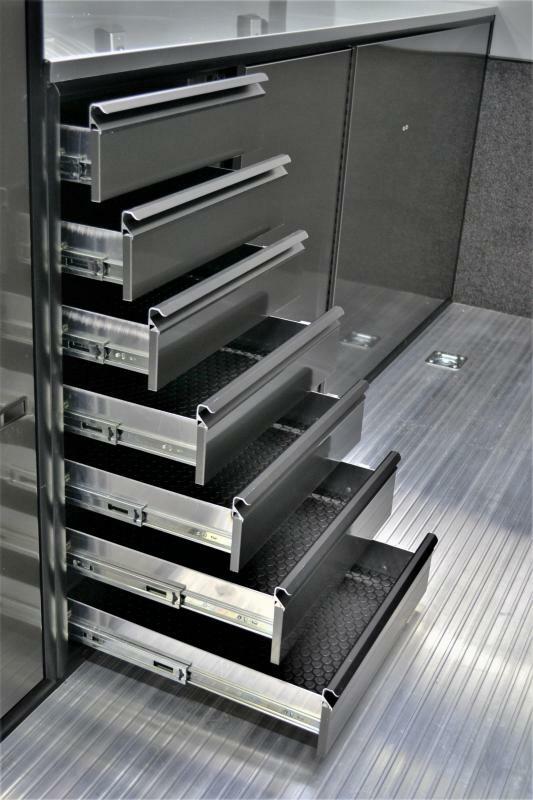 This trailer helps you stay organized with a wheel well cabinet that features fold down desks, a 7 drawer tool chest bank in the roadside cabinets and a full closet with adjustable shelving. 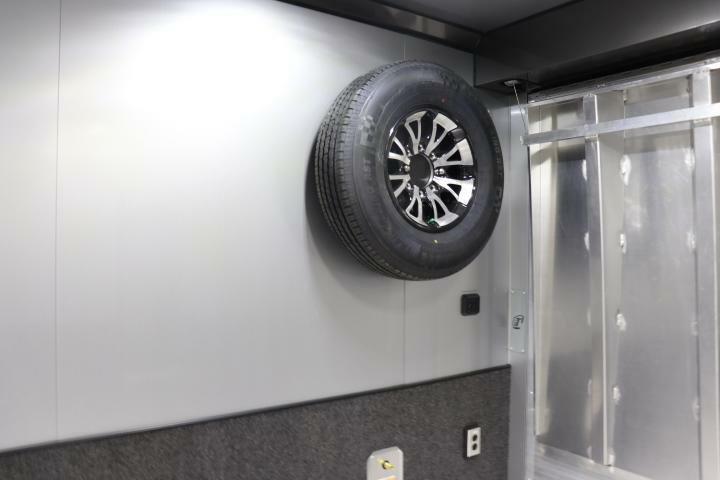 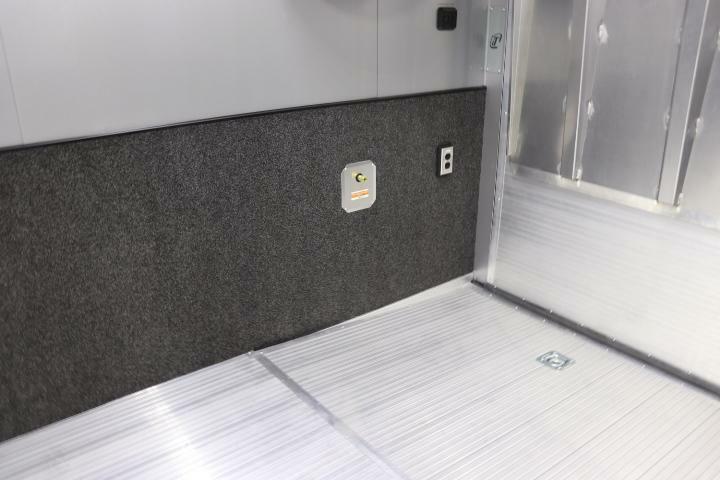 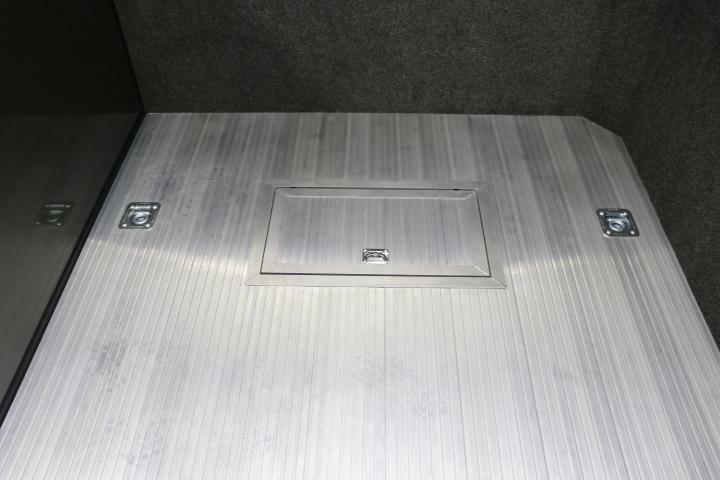 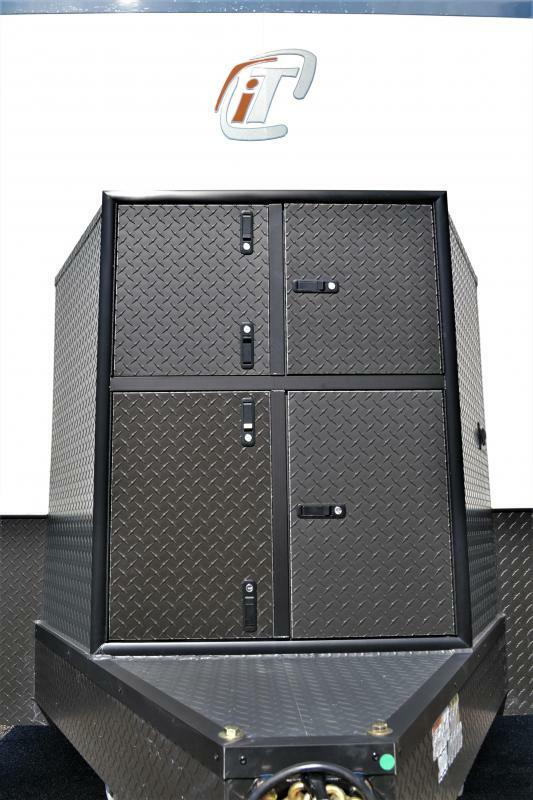 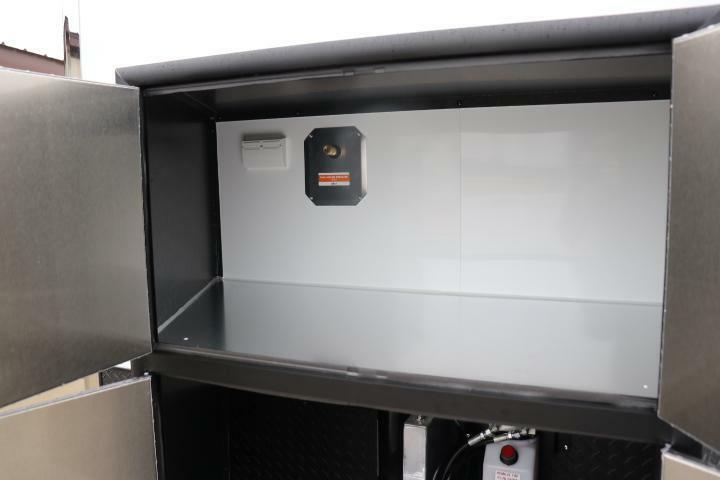 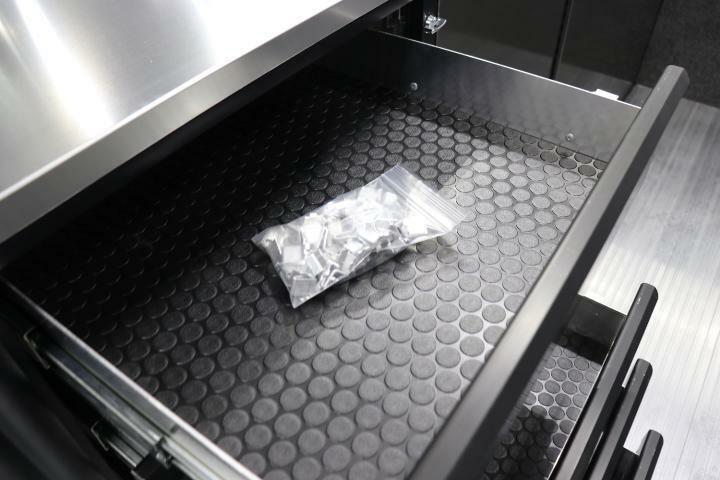 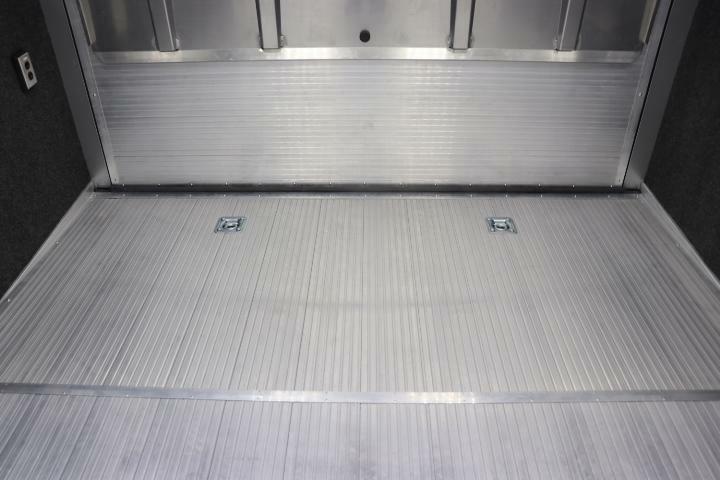 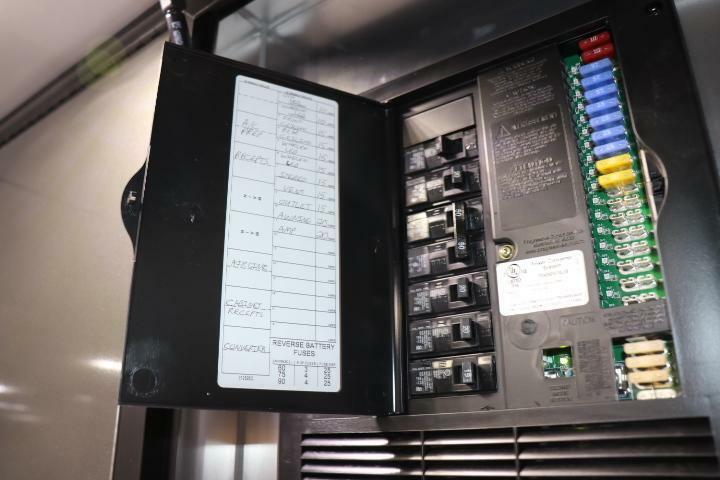 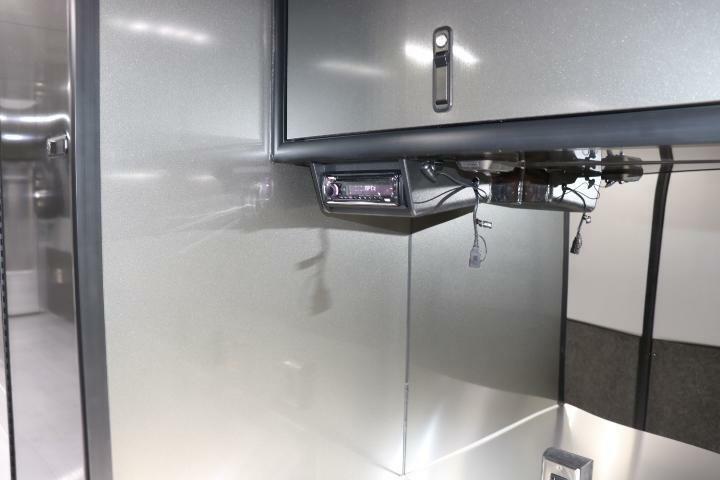 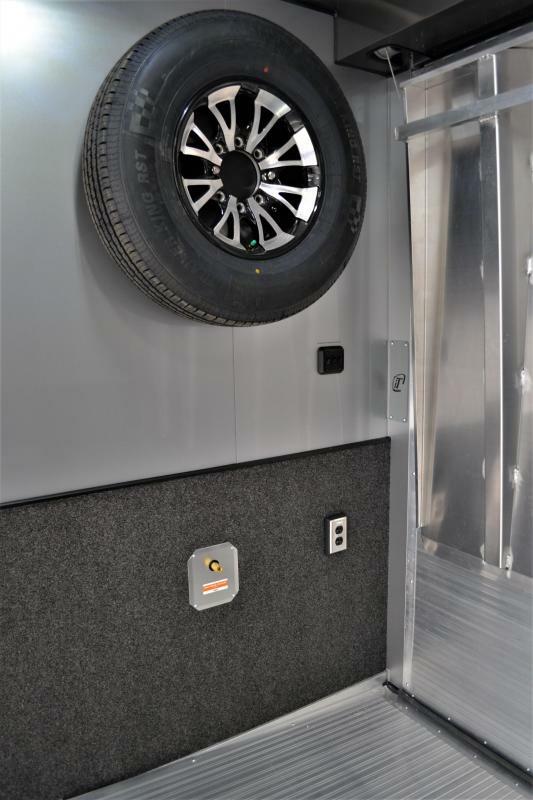 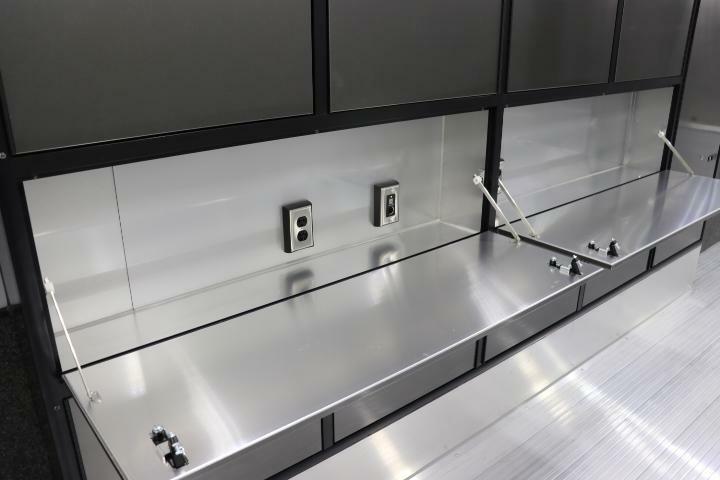 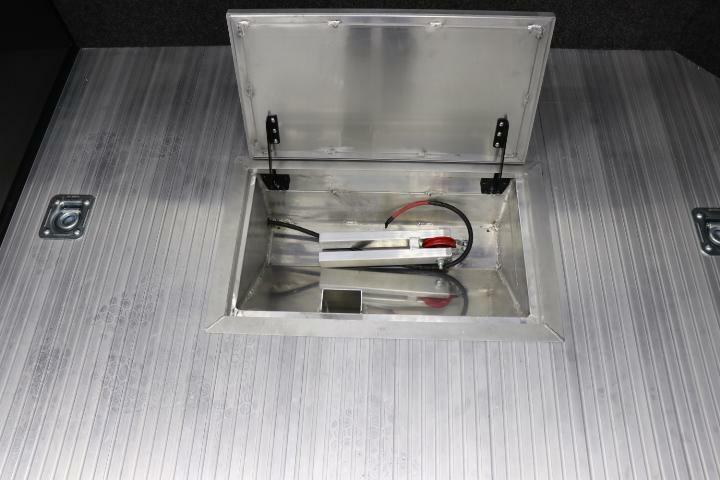 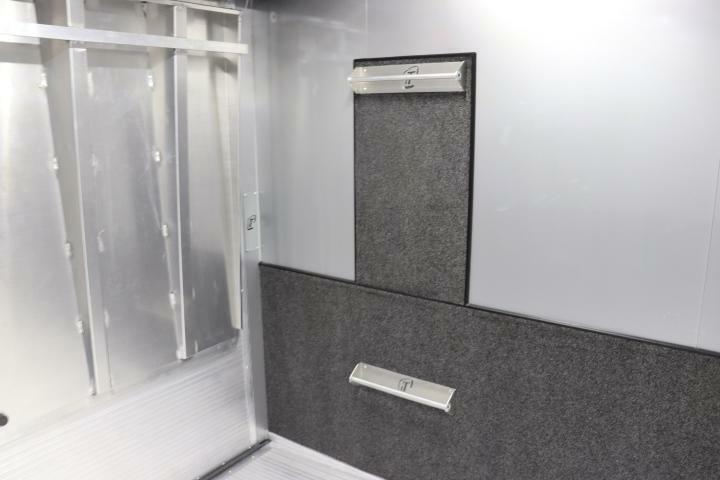 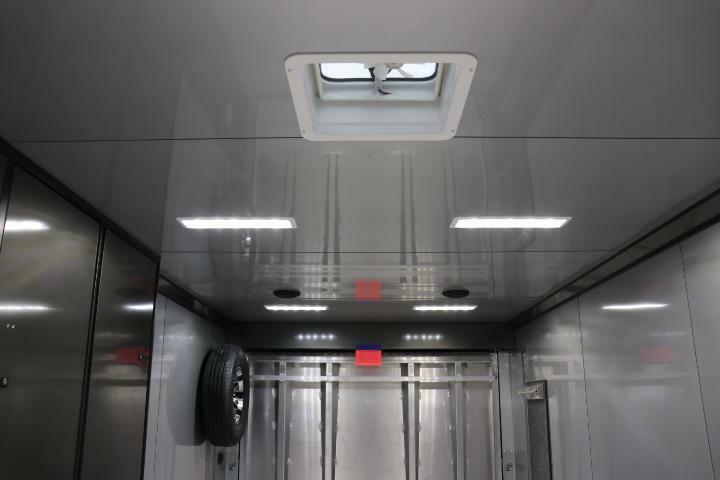 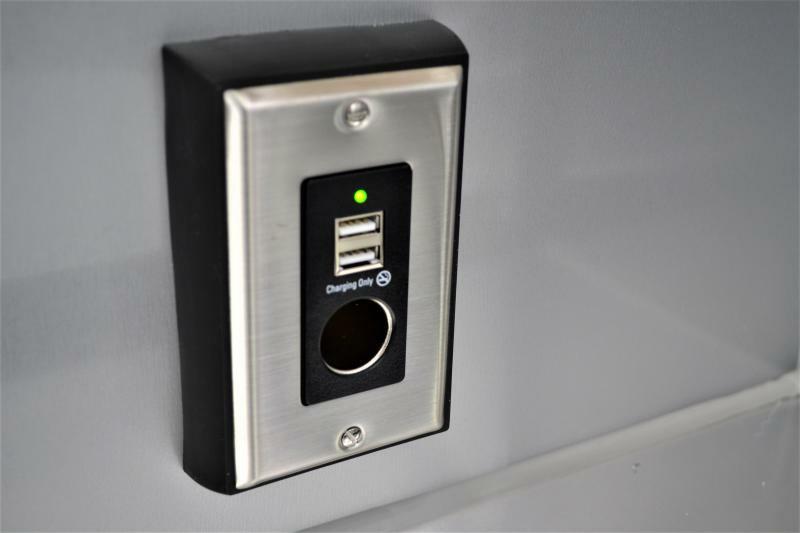 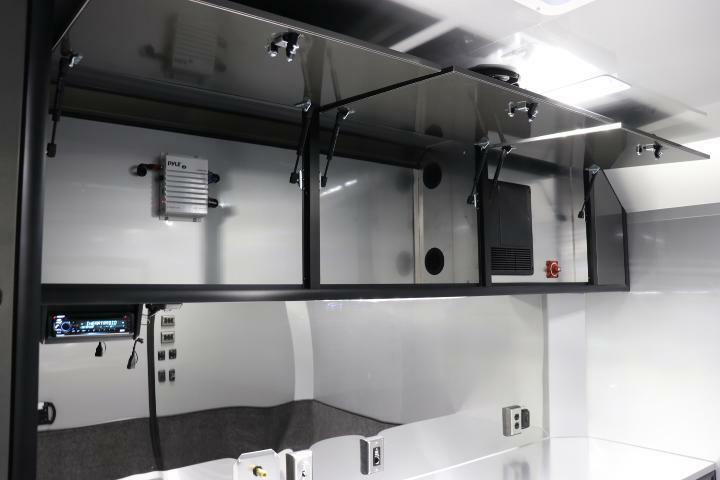 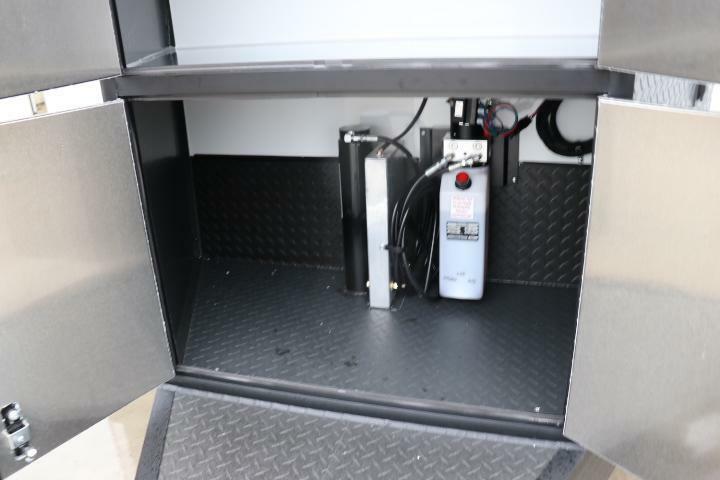 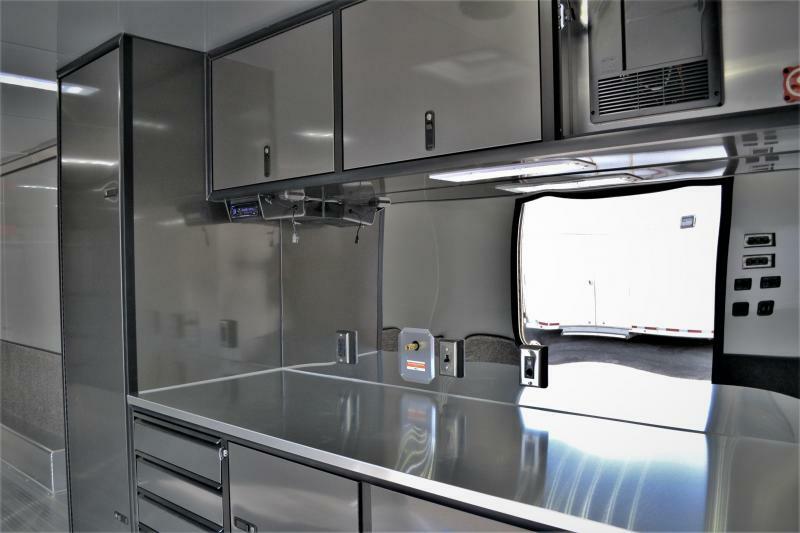 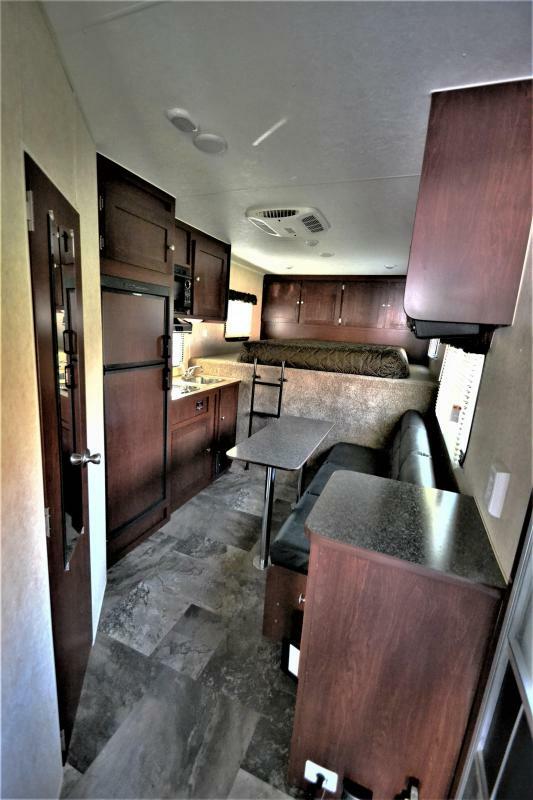 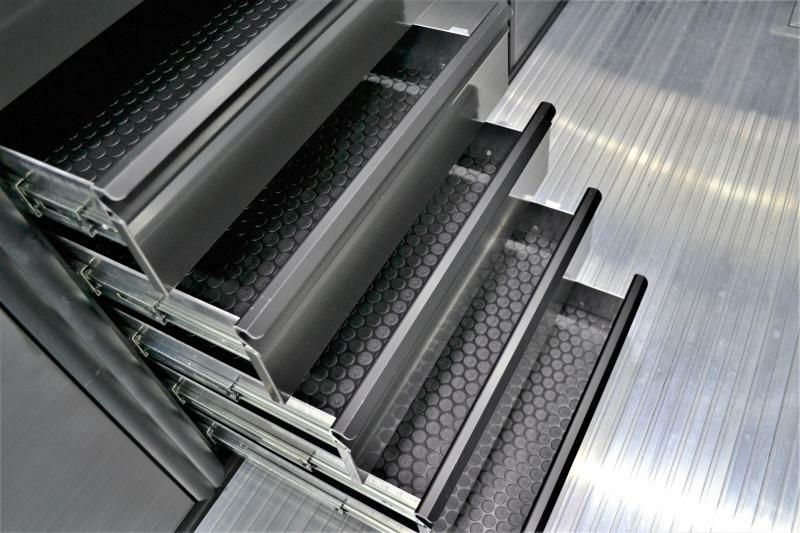 Other great features consist of the 21' Dometic power awning, Bluetooth stereo system with interior and exterior speakers, in floor winch box w/ wire prep, tie down strap hanger and carpet 34'' up on the aluminum walls. 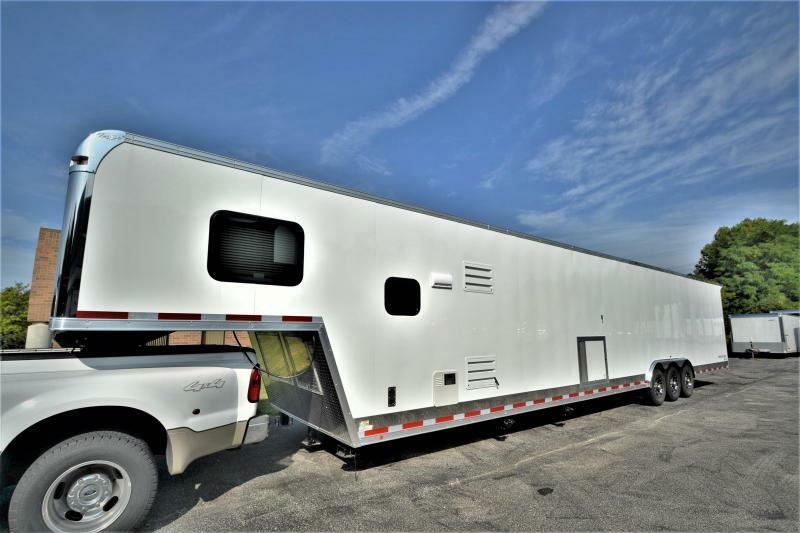 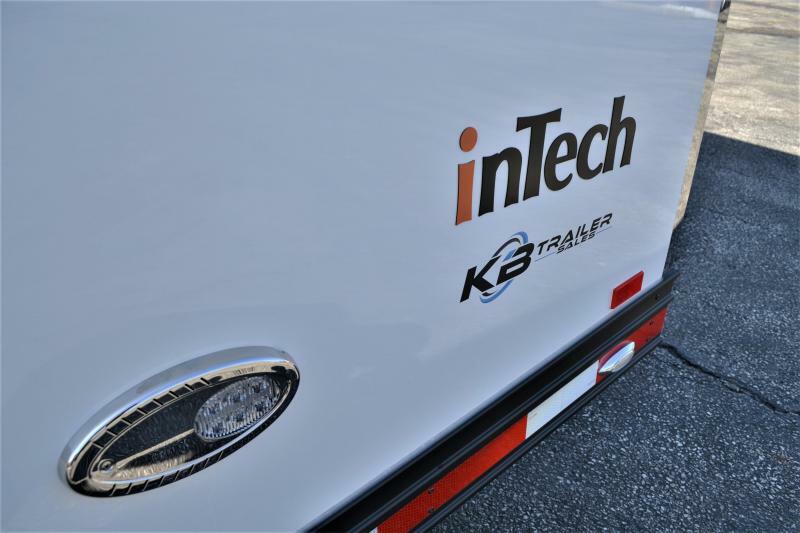 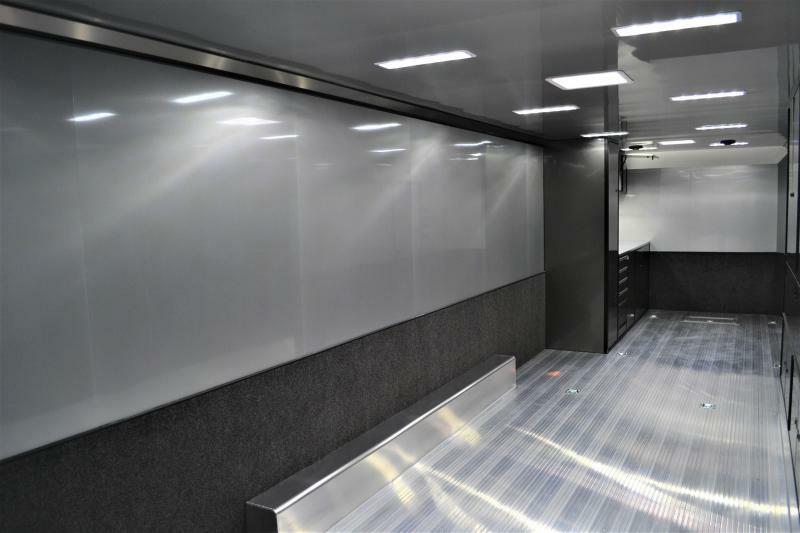 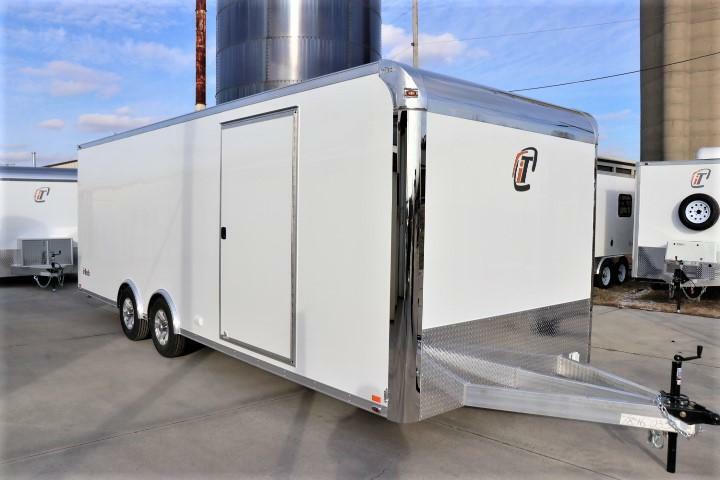 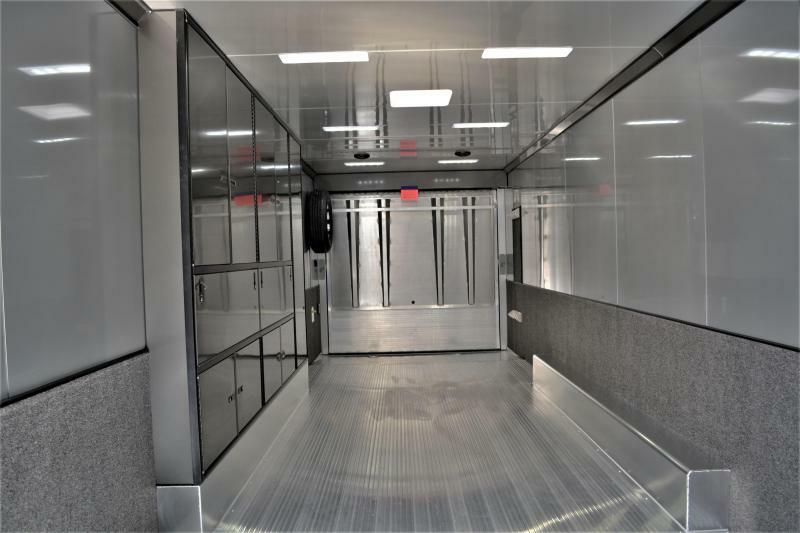 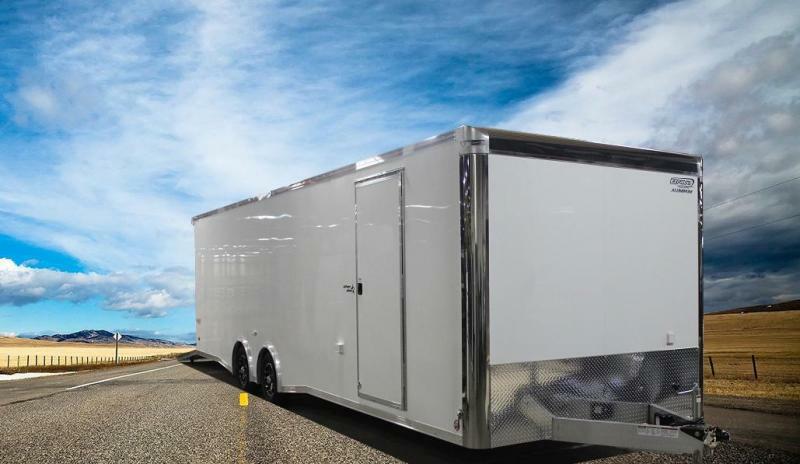 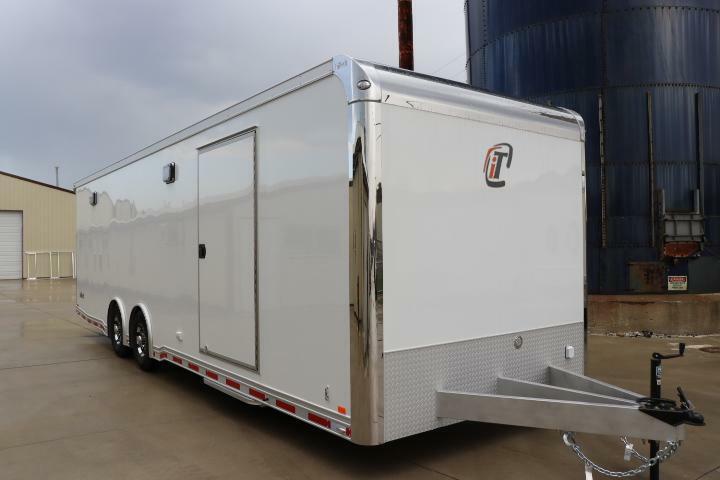 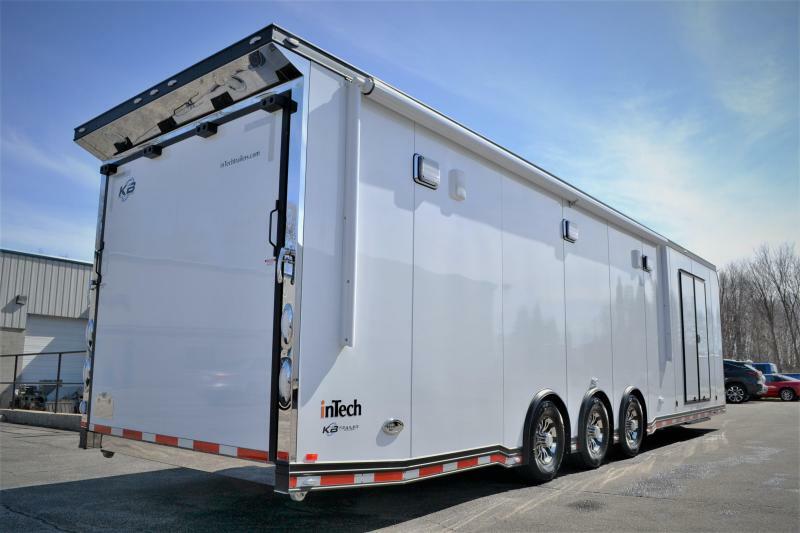 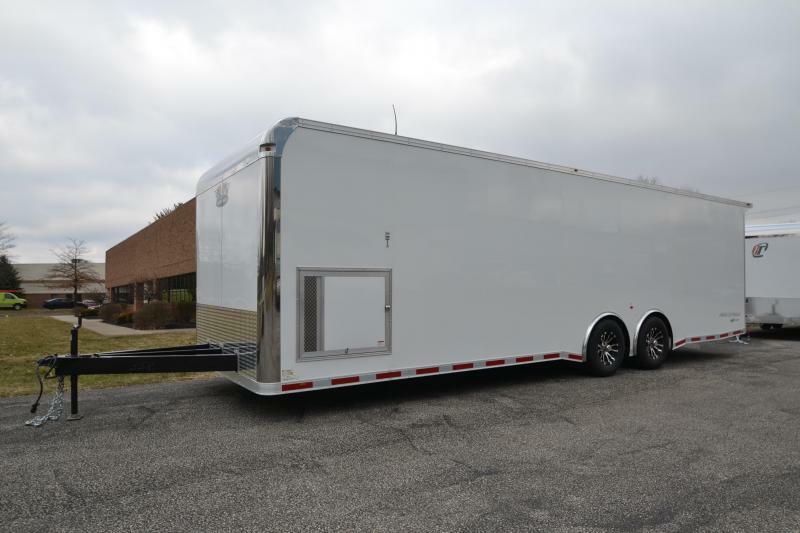 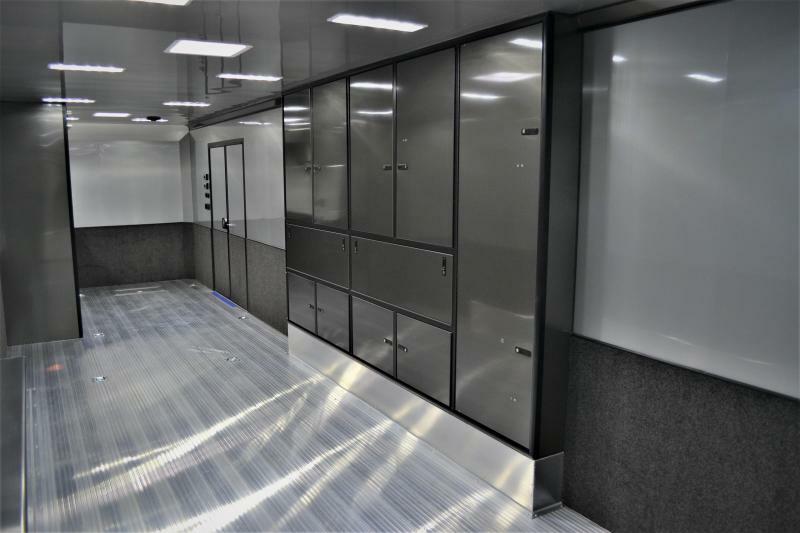 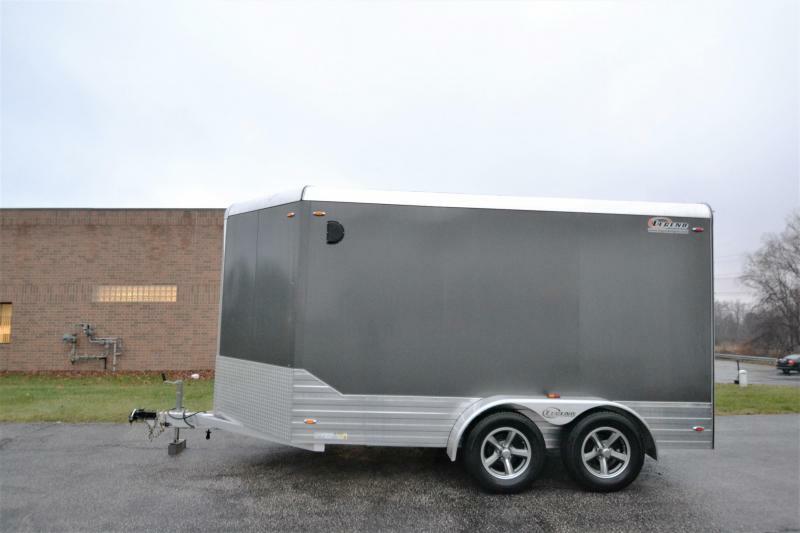 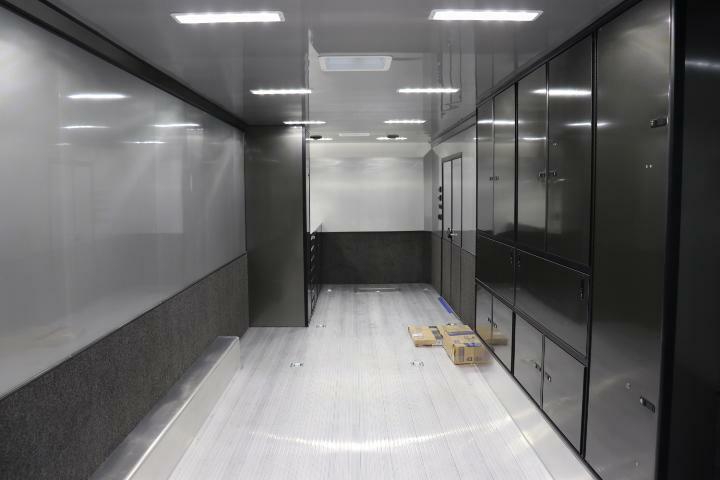 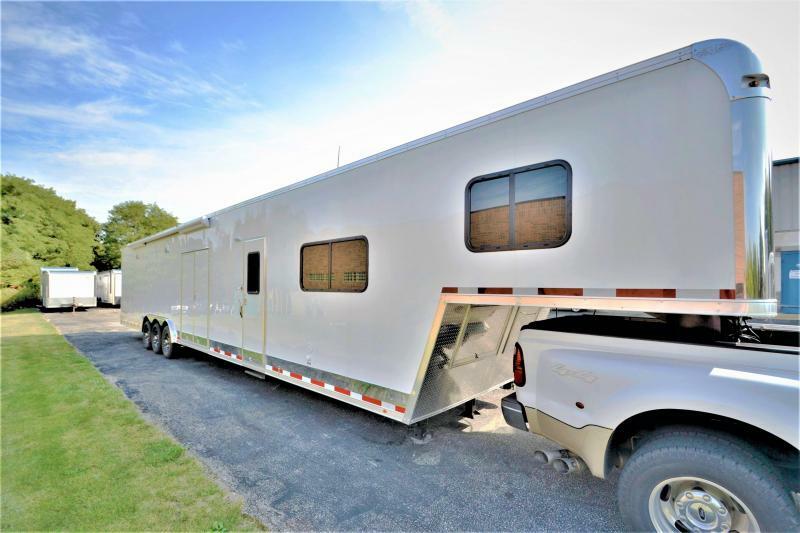 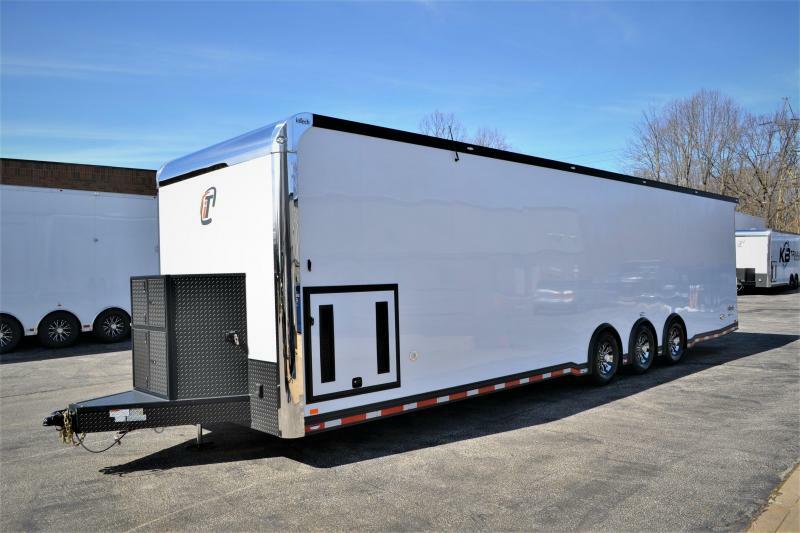 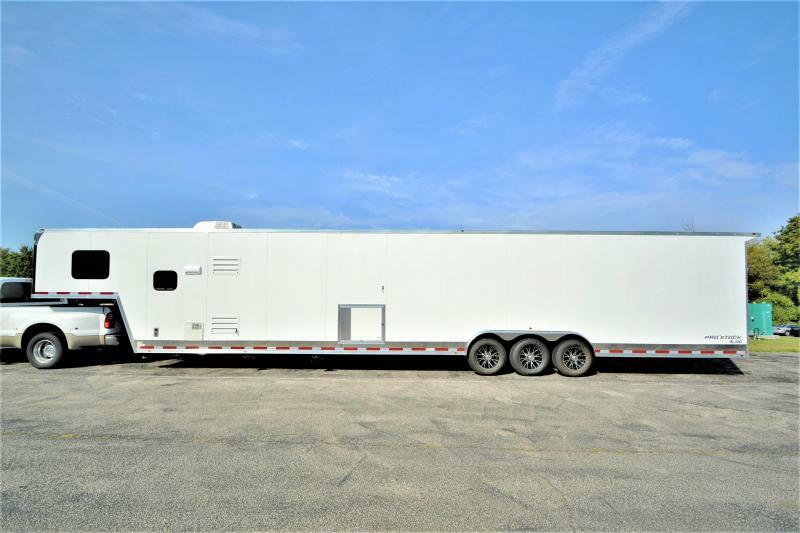 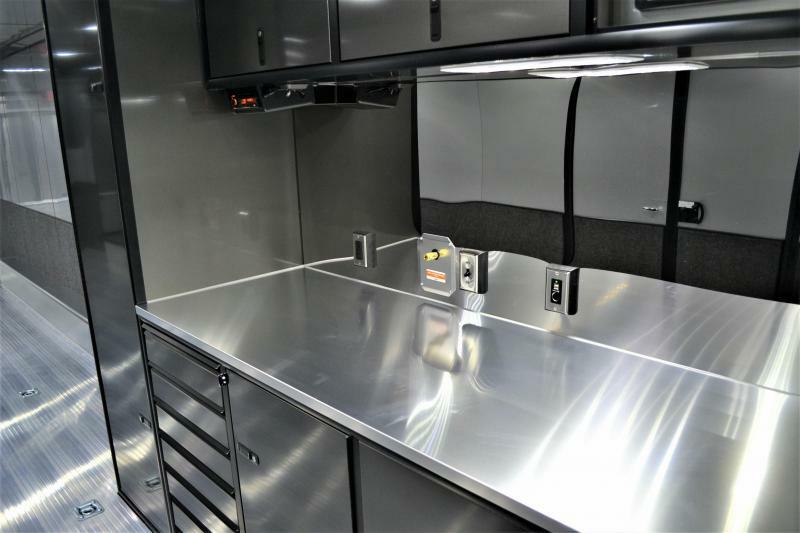 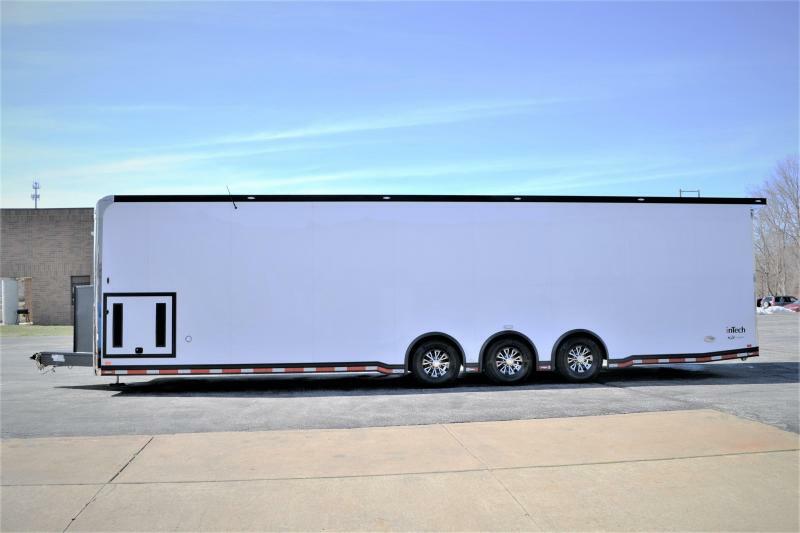 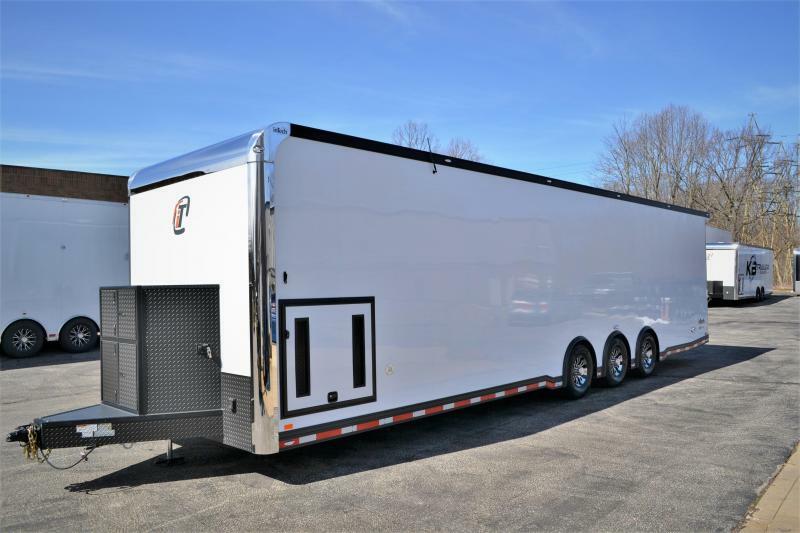 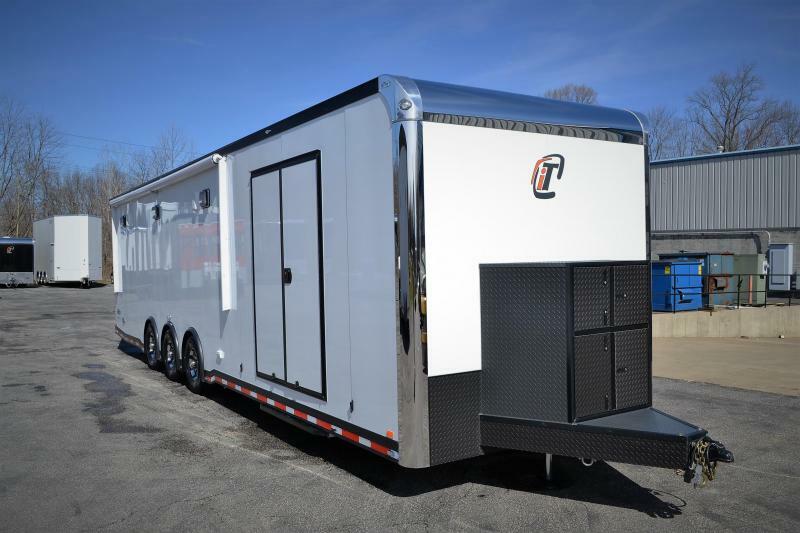 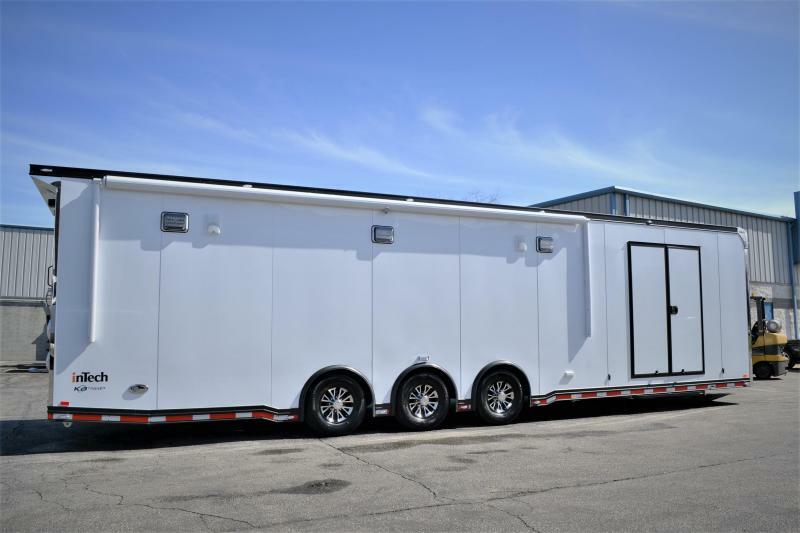 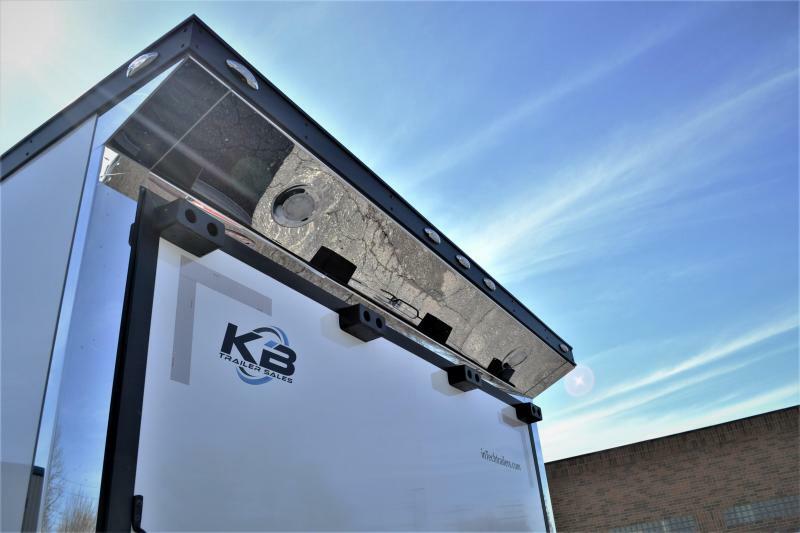 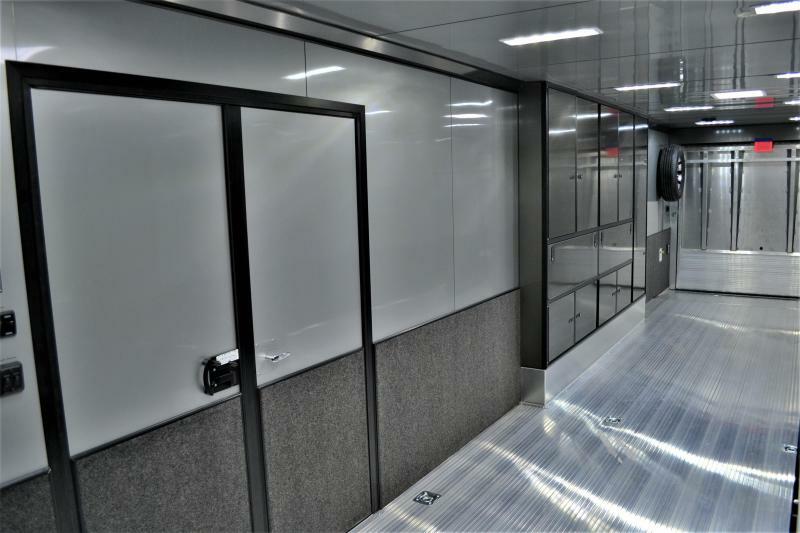 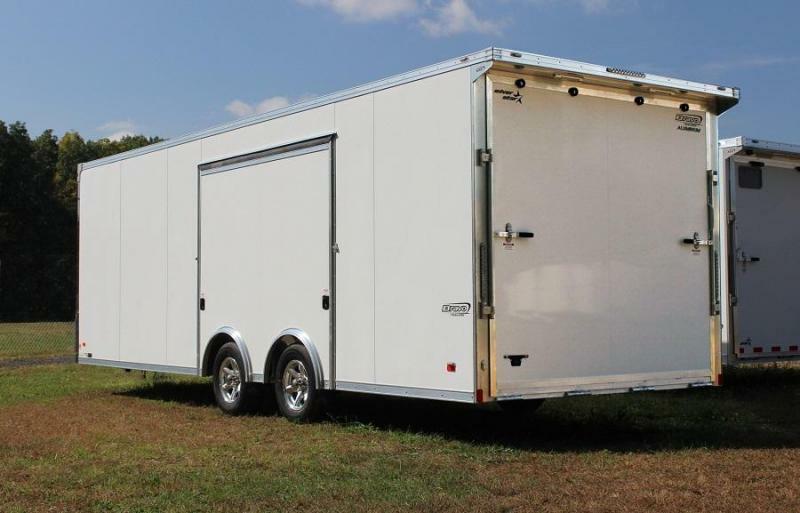 Be sure to check out the pictures on this ultimate 34' Intech Icon package trailer, full build sheet available!